I don’t know about you, but I need to practice tennis often to stay in a rhythm. Even though I’ll never be as great as BJK, I try to play tennis 3-4 times a week. That’s great for my attitude, exercise, and social time, but it’s hard on my equipment. My shoes have to be replaced every 2-3 months if I want to stay comfortable and mobile on court. I’ve started only buying shoes with a 6 month warranty. If that sounds familiar to you, keep reading! I’ve compiled a list of the best durable tennis shoes for women. All of the shoes on the list have a 6 month or longer warranty and have been play tested for comfort as well! The Nike Lunar Ballistec 1.5 Tennis Shoes are built with XTR Rubber Outsole that’s thick enough to last the entire season without worry. When you’re looking for durability, you need to avoid shoes that are designed for running or promise to be ultra “lightweight.” These shoes also appear on our list of Top Comfortable Tennis Shoes, so you won’t be disappointed with the feel of these shoes. Cushioning all along the underside of your foot, but especially in the heel and ball area, keep you comfortable on court. Overpronaters everywhere can rejoice because this shoe has enough support to keep you comfortable well into the third set. 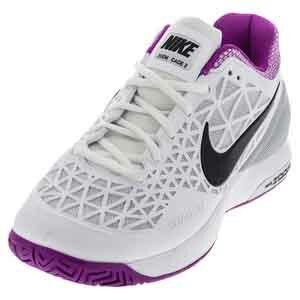 Nike also has the Zoom Cage 2 Tennis shoes, which are great shoes for any surface. 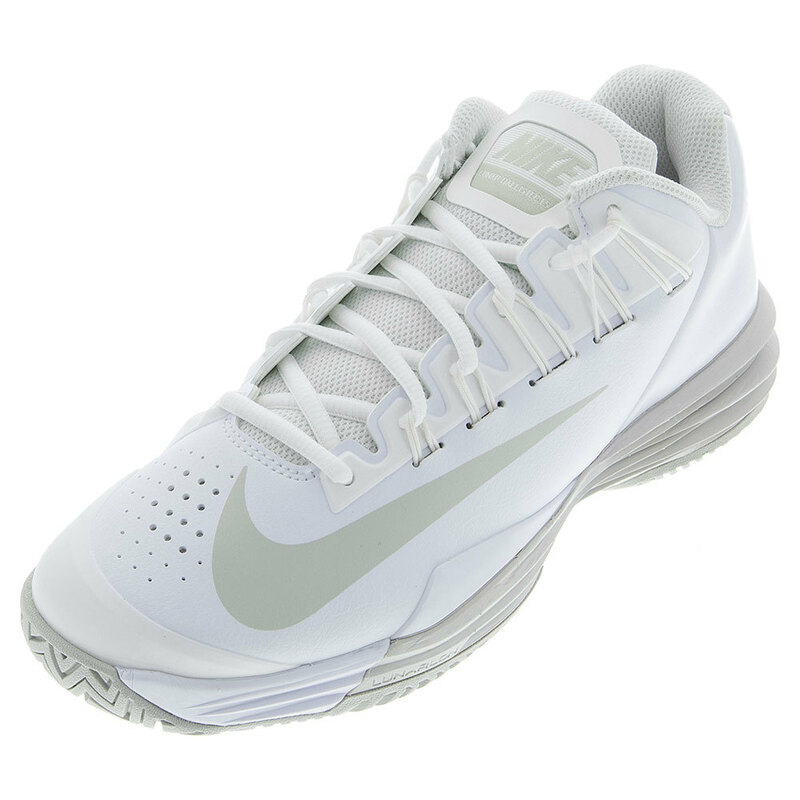 Whether you play hard court or clay, these shoes have the traction to keep you stable during aggressive movement. The drag on cage keeps your toe protected, while the mesh layer keeps things breathable and light. The zoom unit gives you an extra boost of comfort and cushion in your heel, usually reserved for Nike’s elite running shoes. 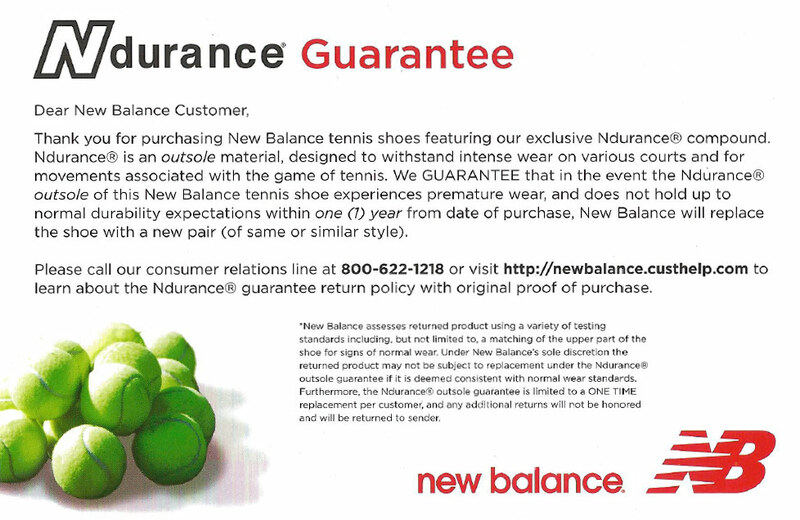 A 6 month warranty makes these shoes a wise purchase for those who play multiple times per week. Any durable shoe should feature a reinforced toe for the army of tennis toe draggers! The Asics Gel Resolution 7 Tennis Shoes are ready to report for protection duty with the PGuard Toe Protector technology. With gel technology that forms to your foot to provide comfort and stability, this shoe also made it to our list of most comfortable shoes. Even though these shoes are made to last more than one season, Asics understands that looks are important, too. They consistently put out new colors of this shoe, so that you can always find a color to match your favorite outfit! 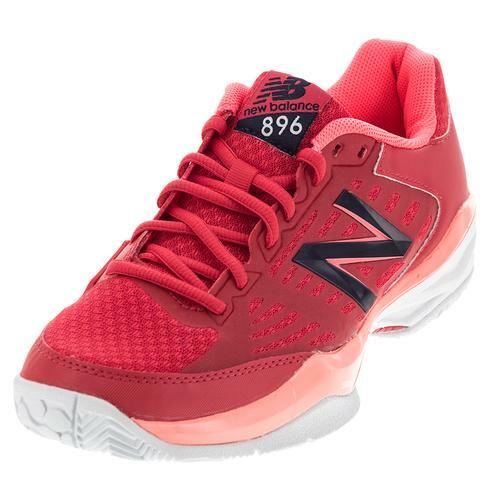 The New Balance 896v1 tennis shoes feature a longer one-year NDurance durability guarantee with a substantial outsole, but still feel responsive on the court. They won’t feel clunky or clumsy right out of the box. The midsole is made from a high-tech foam material that forms to your foot, making sure that you feel stable when you make side to side movements or lean to the side to pick up a shot. New Balance is such a a great brand for running, and they definitely know how to translate that technology into a court shoe that’s going to last more than one season and feel comfortable. The Wilson Rush Pro 2.5 checks all the boxes for the frequent tennis player: Durability, Traction, and Cushioning! The All Court Duralast outsole provides improved durability and traction, while the improved cushioning keeps your feet comfortable inside. This shoe is designed to fit snugly in the heel to prevent slippage, wider in the midfoot for comfort, and more narrow in the forefront so that you feel connected to the court. Let’s not forget that Wilson is a tennis only focused company, which means they know a thing or two about what works on court for women. Playing tennis is great for your overall health, and let’s face it: It’s great fun to play as much as you can. That’s why you need to be choosy about your shoes. Don’t buy shoes that are going to cause your feet to hurt or that will wear out after a few weeks on court. Whether you’re looking for Comfort, Lighweight, or Durability, check out these selections to help you make the right choice! ← So You Think They’ve Got Talent?